It was used to slaughter first graders at Sandy Hook, murder Batman fans at Colorado movie theater, kill county workers at a holiday party in San Bernardino. Now a descendant of the AR-15 semi-automatic rifle — a Sig Sauer MCX — has the dubious distinction of being the weapon of choice for a homosexual-hating gunman named Omar Mateen who is being blamed for the worst single-day mass shooting in U.S. history. The lethal weapon was found early Sunday amid the 50 casualties of the carnage at the Pulse nightclub in Orlando, Florida. Mateen bought his gun legally just last week in Florida, the feds said Sunday. And the latest killings only added to the bloody pedigree of the AR-15 and its emulators. 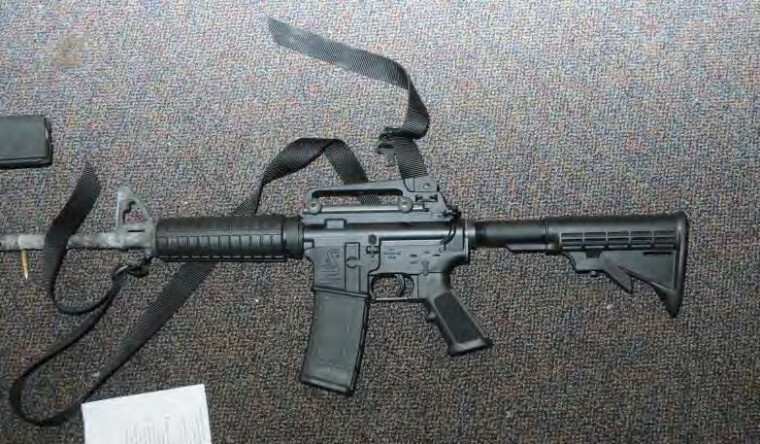 July 20, 2012 — The AR-15 was part of James Holmes’ arsenal when he opened fire during the midnight screening of "The Dark Knight Rises" at a movie theater in Aurora, Colorado.